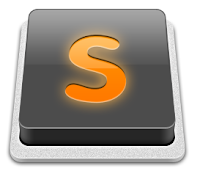 The Sublime text editor build system can be a nightmare to configure and use, mainly if you need some complex steps to build your application or just have already a Makefile. Here you can see how build and run your applications from Sublime using shortcuts with Makefile. Now if you build the application (Ctrl + B), the command 'make' will be executed in the source file directory, and if you run it (Ctrl + Shift + B), the 'a.out' binary will be executed.